Living in Sunny South Africa! 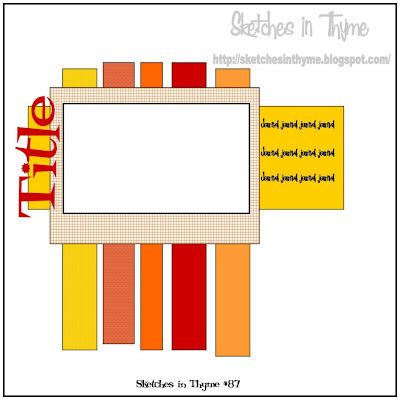 : Sketch # 87 is up at Sketches in Thyme!! Sketch # 87 is up at Sketches in Thyme!! Hello friends. 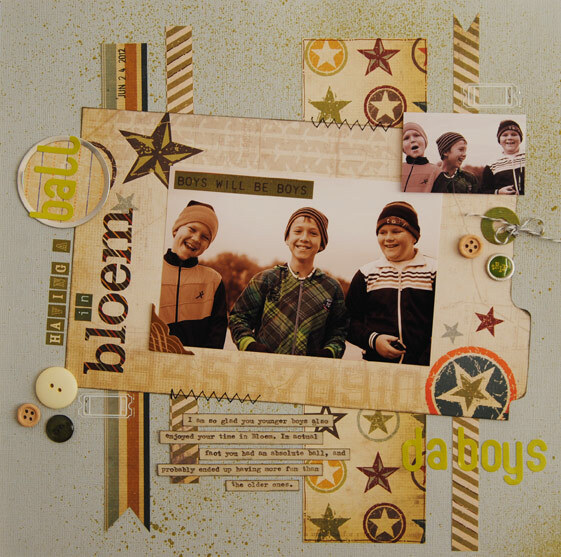 Just wanted to let you know that the latest sketch challenge is up at Sketches in Thyme. 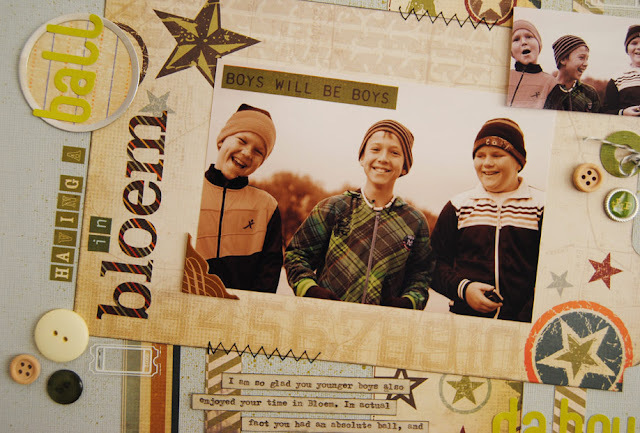 I really had fun putting this page together, it's a goofy photo I took of my son Bryce and his friends while we were up in Bloemfontein. I also spent some time editing the photo in Photoshop. I used the Awesome Collection from Simple Stories for this layout. 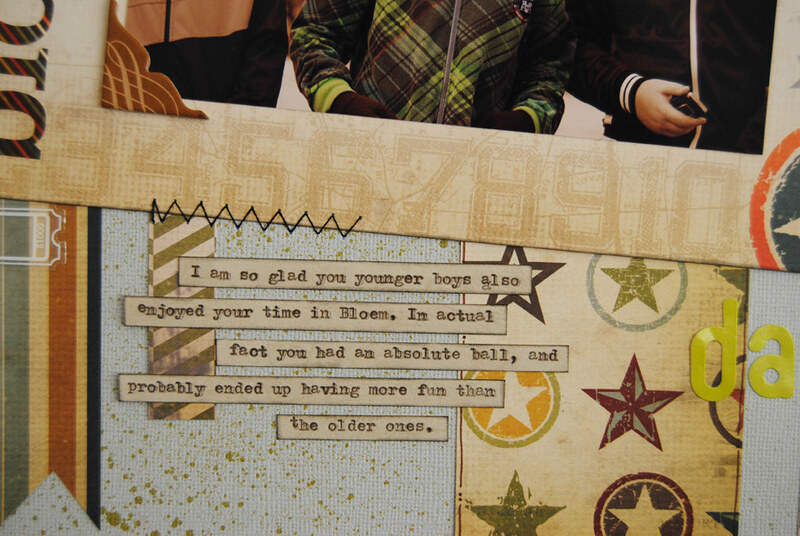 It is GORGEOUS for boy pages, and I bought it at Scrapbook Studio, just LOVE shopping there!!! Here is the lovely sketch, it's simple and easy to use, so I hope we get lots of you lovely ladies playing along with us on this one!!! 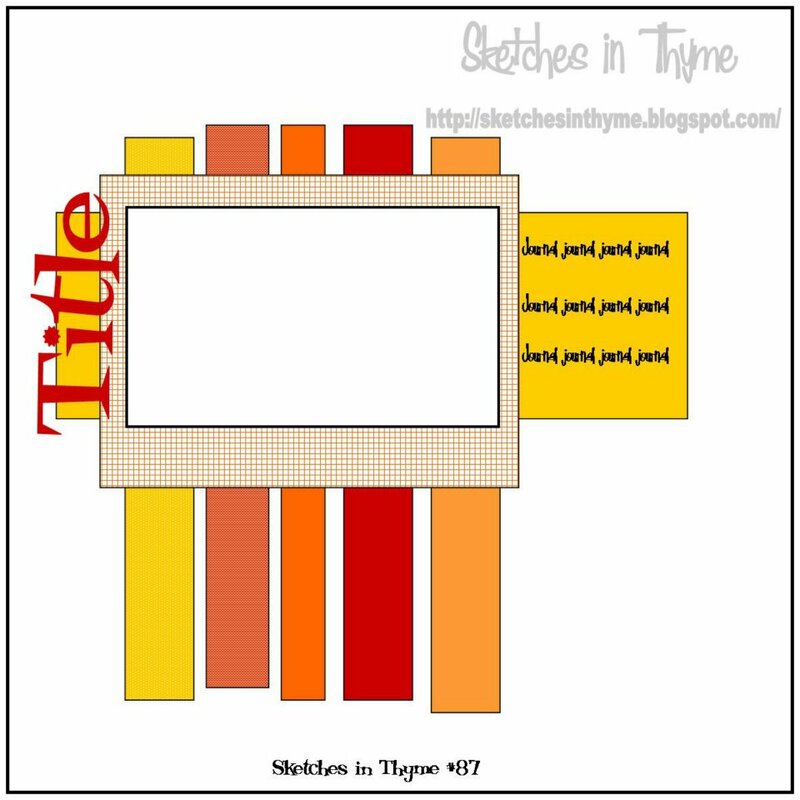 When you are done, link it at the Sketches in Thyme blog, I am really looking forward to seeing your creations!!! It's a long weekend here in South Africa. Bliss!!!! Just stopping by to say "hi." We're in the Trend Spotting class together. Great LO. Gorgeous color combo and such a fun photo! love their smiling faces! Such a cool layout!